Create healthy and fun zoodles and swoodles. 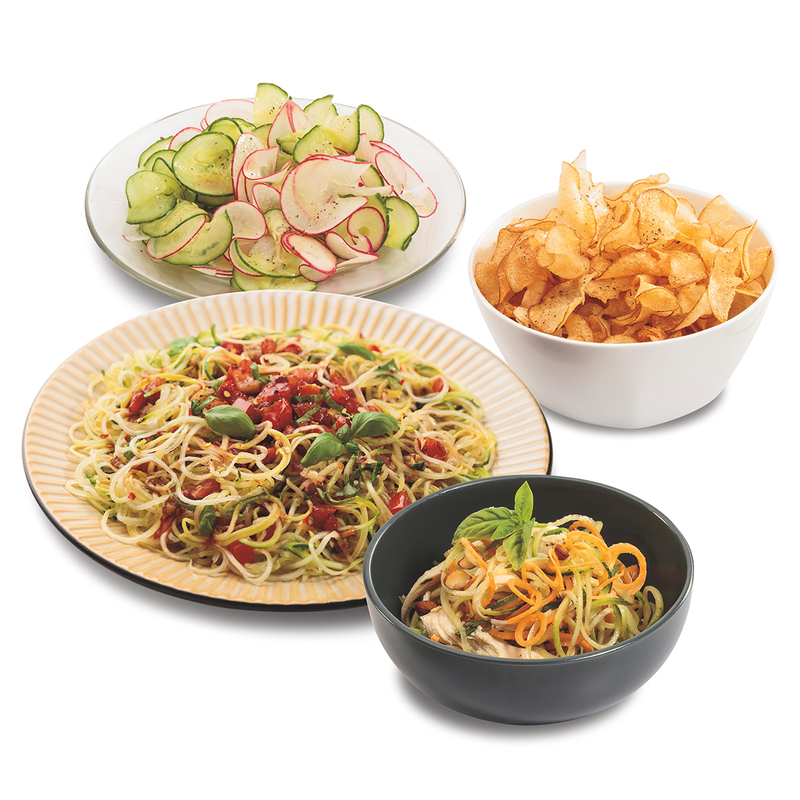 Put a healthy spin on your favorite pasta dish with zucchini noodles in place of spaghetti, or give your basic side salad a gourmet look with ribbons of cucumbers instead of slices. 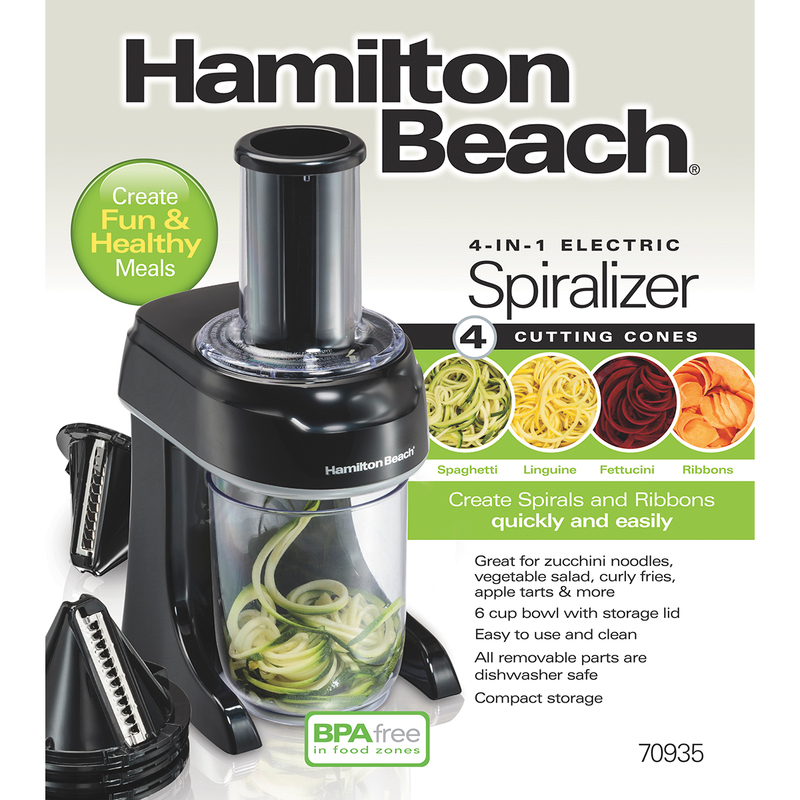 The Hamilton Beach 4-in-1 Spiralizer makes creating spiralized veggies and fruits fun and simple enough for everyday use. 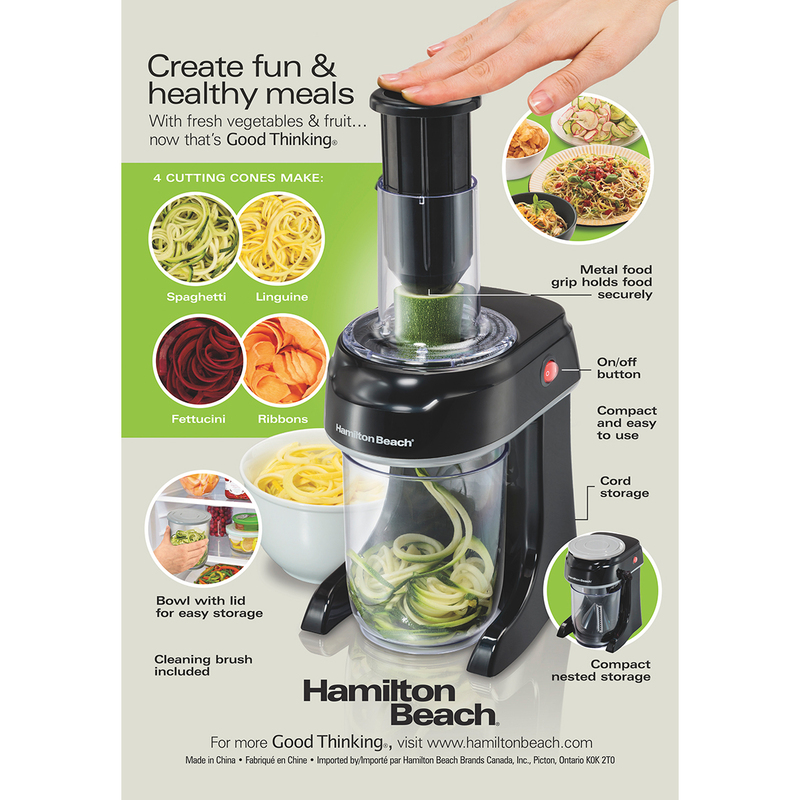 With easy to assemble parts, including four cutting cones that create continuous strands of noodles and ribbons, getting started is simple. 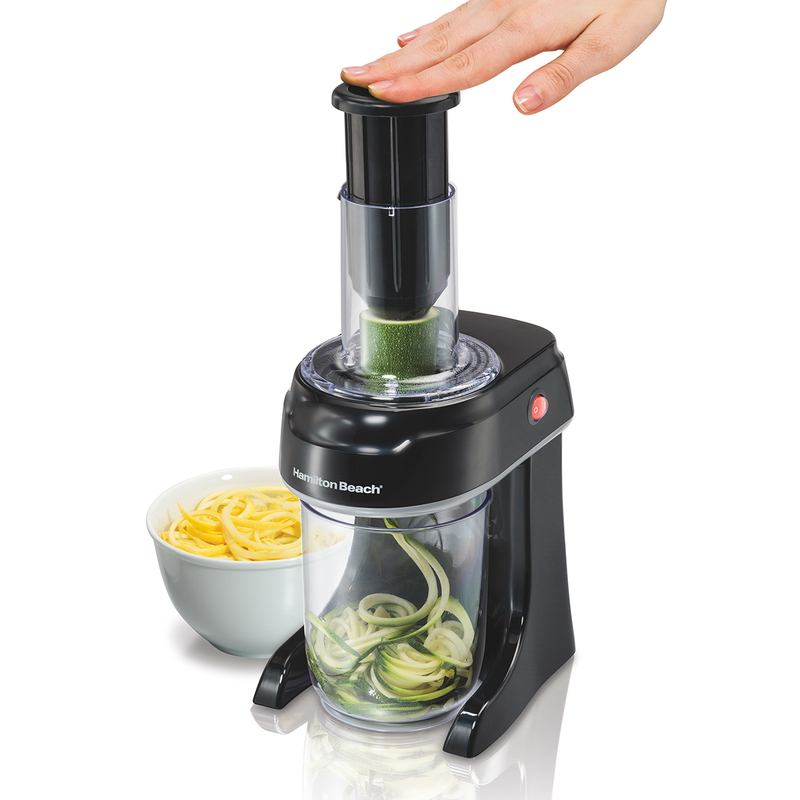 The metal grip on the food pusher holds whatever you’re slicing in place securely, and the 6-cup bowl collects your spirals. Use the included lid to store your spirals. 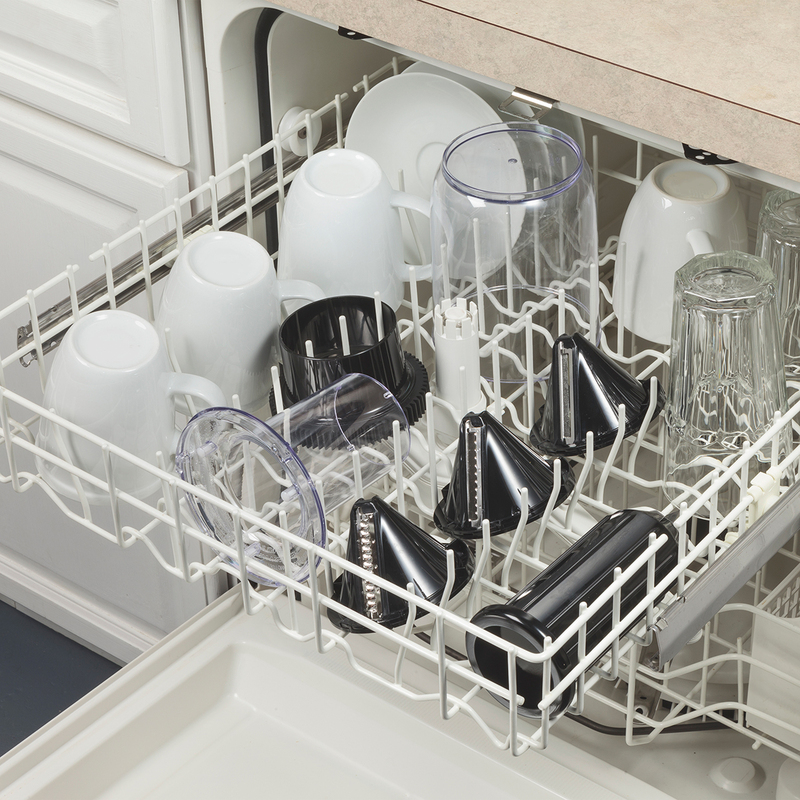 All removable parts are dishwasher safe, and the whole unit can be neatly nested together for compact storage. 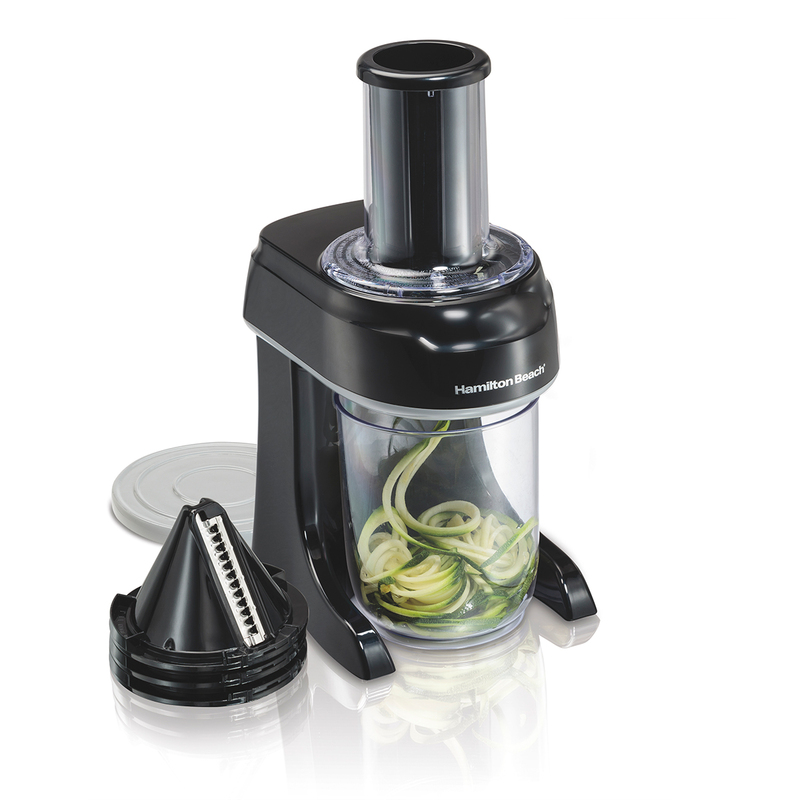 With electric power and easy to assemble parts, the 4-in-1 Spiralizer makes prepping a large batch of homemade potato chips or vegetable noodles simple and quick. Make long, swirly strands of thin noodles with the spaghetti cone, or go for thicker strands with the linguini cone or fettucini cone. The ribbon blade makes wide cuts of continuous curls. 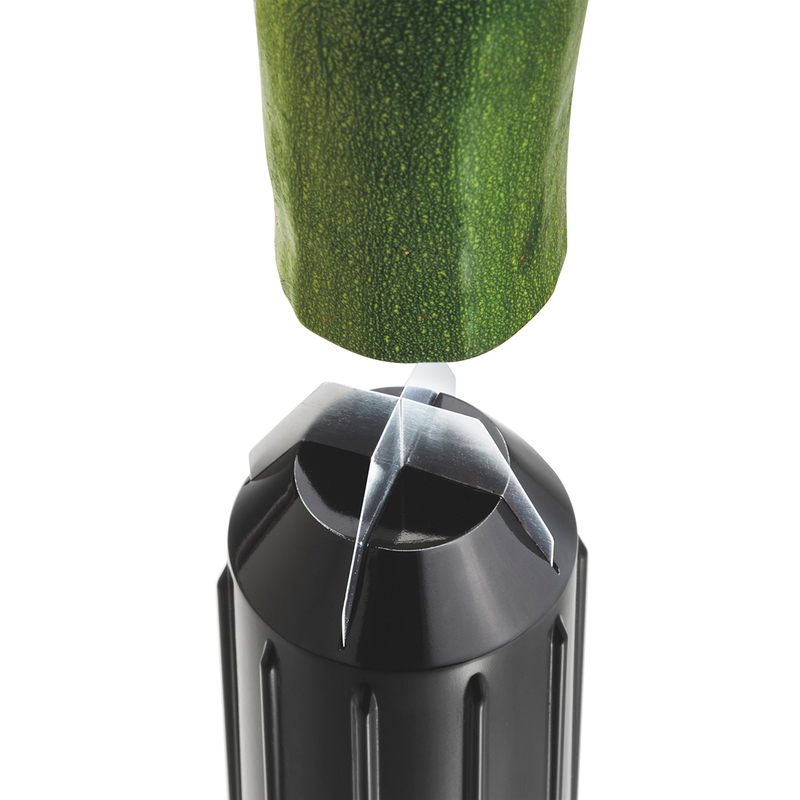 The large, 2.5” wide chute fits many whole foods, and with the help of the metal food grip on the end of the food pusher, it’s simple to feed vegetables and fruits through with minimal effort. 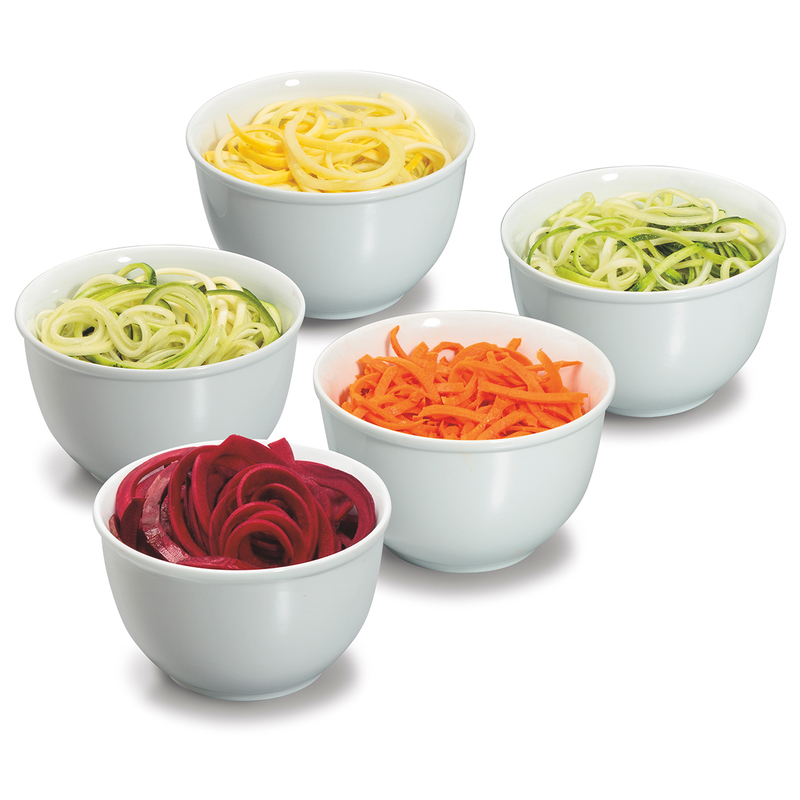 The included bowl fits perfectly under the spiralizer to catch your ribbons and spirals as they are processed. 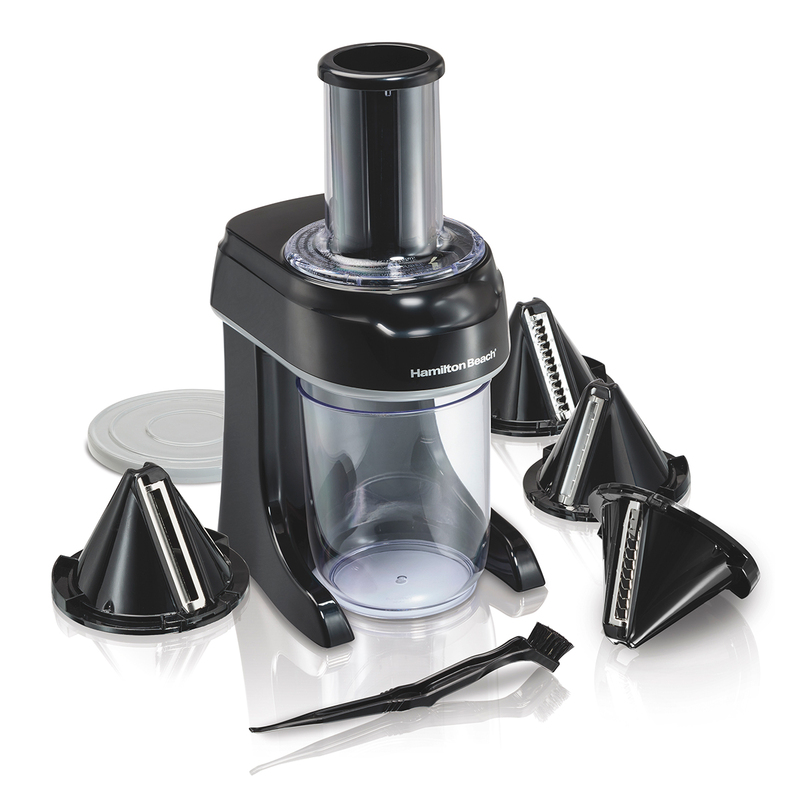 With a 6-cup capacity, you can slice more than one piece of food without stopping. Use the included lid for easy storage. 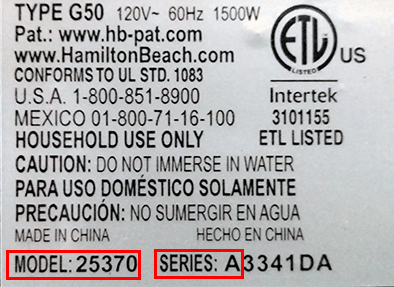 All removable parts are dishwasher-safe. 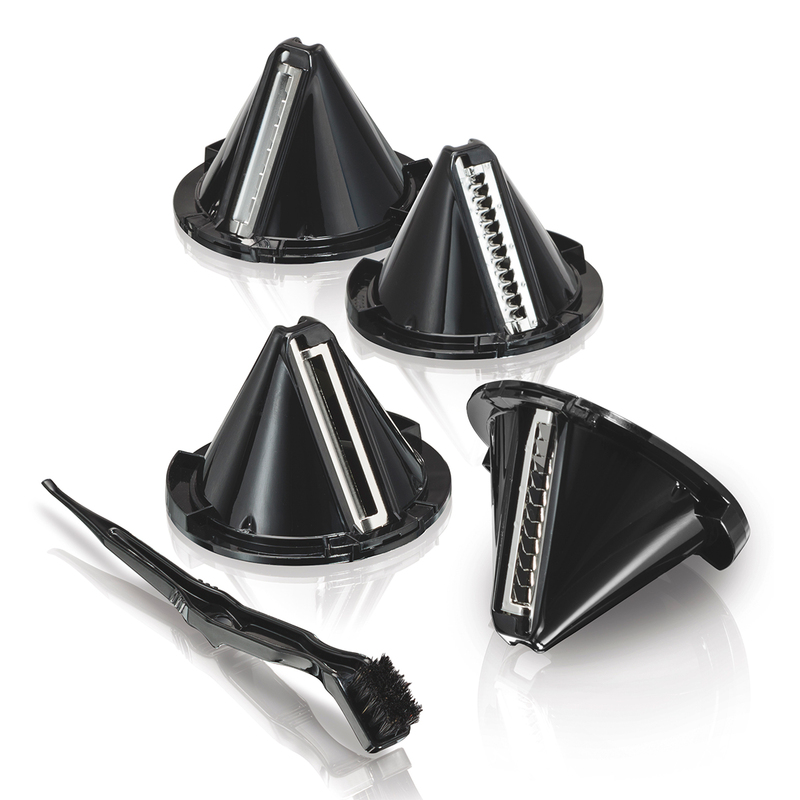 An included brush helps to clean if you chose to hand wash.
Nesting the pieces together is easy - cones fit snuggly together, point-side up into the bowl, then the food chute is flipped upside down into the base, and the food pusher goes into the chute. The cord also has its own storage space.